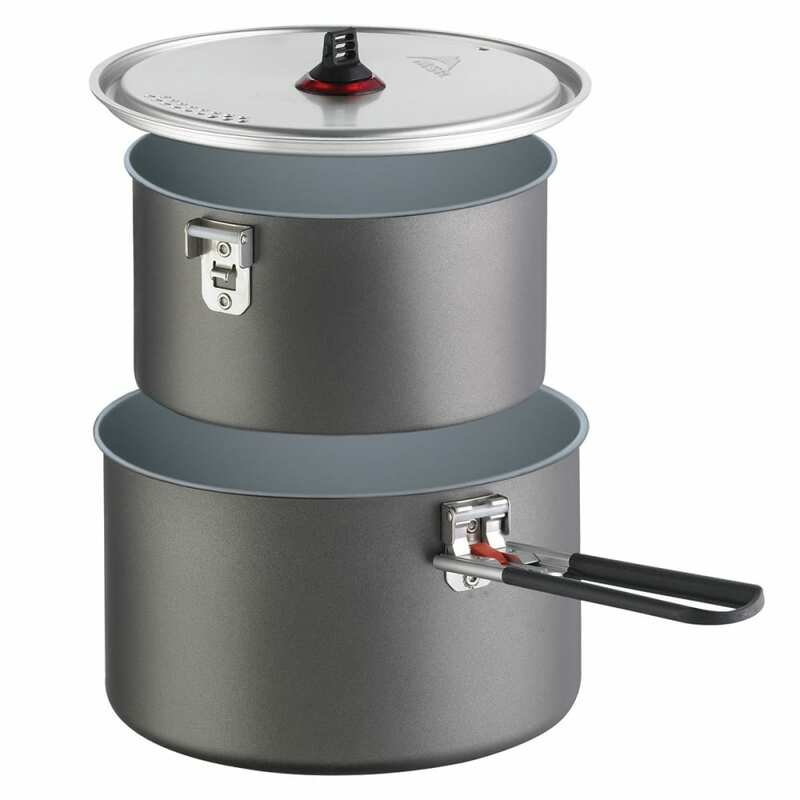 The Ceramic 2-Pot aluminum set makes it easier than ever to cook like you do at home while in the backcountry, thanks to its premium ceramic nonstick surface. Together, the 2.5 liter and 1.5 liter pots handle a range of wilderness meals, and offer convenient, hassle-free clean-up. Tough and lightweight, this pack-friendly set has room for nesting mugs and plates, saving precious space in your pack. Modular: Add DeepDish??? plates and insulated mugs (sold separately), or customize it to suit your needs. Includes: (1) 2.5 L nonstick, hard-anodized aluminum pot, (1) 1.5 L nonstick, hard-anodized aluminum pot, (1) aluminum strainer lid, (1) Talon??? pot handle. Packed Size: 7.75 x 5"